It was this poem about Letting Go, written by a friend of mine, that inspired my sketch. It spoke to me of the process that we need to go through when traumatic events come into our lives and knock us off our course. Time To Let Go And Fly! 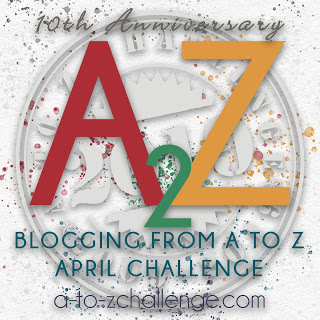 Last year, in the middle of April, I was well on my way to completing the A to Z Challenge 2016! At this point the A to Z bloggers are gaining confidence that they’re going to make it to the end. I can’t help but be with them in spirit as I following along and visit some of their websites. Letting go can be your best friend. Just the message I needed today! Love your art! Such talent! Nice! I’m glad it was a message you liked! 🙂 Thank you! While I’ve liked all of your letters so far, this letter “L” looks especially pretty to me. Great post and your sketches are lovely. I did this same theme last year. It was fun and therapeutic. This year I’m writing about books that have been significant in my life. I love your sketches, and the poem is wonderful. So very, very hard to do! Cette lettre est particulièrement réussie. Sketch is beautiful ..with a good message .